ST. LUCIA, as stated in its marketing propaganda, is simply beautiful in every way. 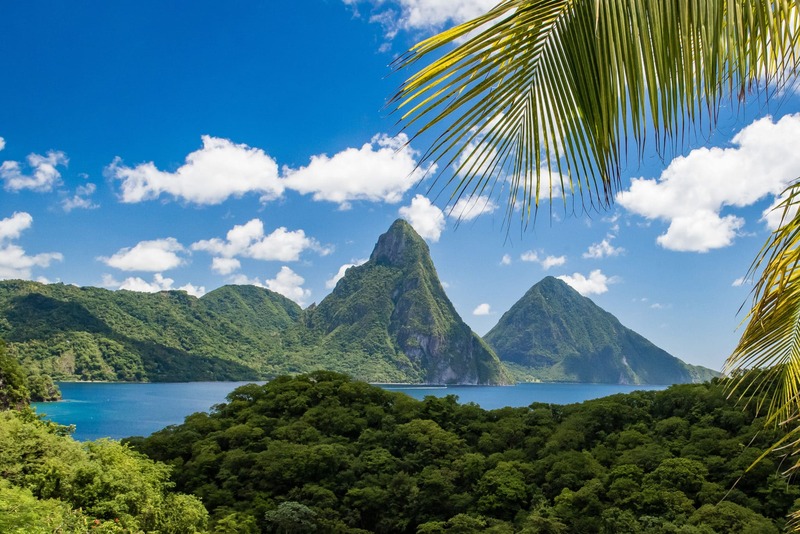 The island is best-known for its Grand Pitons, a pair of the most awe-inspiring natural wonders anywhere on the planet, though St. Lucia’s legendary natural beauty and eco-adventure options don’t stop there. The Atlantic side of the island is a favorite nesting ground for sea turtles, while the opposite coast abounds with thrilling scuba diving options – Keyhole Pinnacles, Anse Chastanet Reef, Superman’s Flight and the wreck of the Lesleen M among them. Hiking opportunities aren’t reserved to the Pitons either. Trails around the interior mountainous rainforest region are lined with exotic, wild orchids and 170+ bird species, including the St. Lucia parrot, the national bird known locally as Jacquot. The highest peak here is the 3,120-foot (950 meters) Mt Gimie, a good 500 feet taller than the highest Piton. St. Lucia’s culture bears strong elements of French, African and English influences by virtue of a history that saw the island change hands between the French and British seven times each during the 17th, 18th and 19th centuries. The Brits eventually won out in 1814, though French ties remain prevalent in the island’s cuisine, place names, architecture, festival traditions and Creole language. Ti Bolom represent the souls of children who died before being baptized. They are the Devil's subjects, damned for all eternity to do his bidding. It may not look like much, but for generations it's been believed that bathing in the incredibly hot, muddy waters of the Sulfur Springs National Park in Soufriere, St. Lucia would cure practically anything that ails you. The Tet Paul Nature Trail hike in St. Lucia could easily be completed in 45 minutes or less, but the rewards for those who take their time are many. Colorful, historic, and bursting with authentic West Indian charm, Soufrière compliments her vibrant natural surroundings beautifully. That Pigeon Island is not the prime natural attraction in St. Lucia really speaks volumes about the beauty of the island.